In this map there are 6 Maze Arenas designed only for PVP. 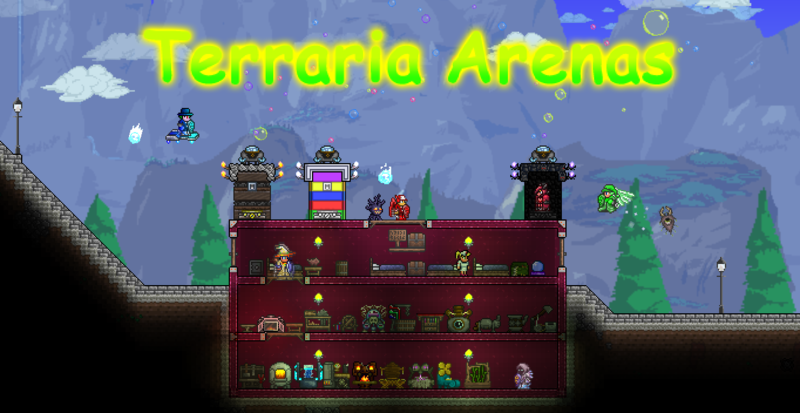 Each Arena has it's unique structure and hazards that can be activated whenever the player desires to use it, they can be used in favor and reversal. All arenas have rules that makes the fight between the fighters more interesting however it's not like I'm forcing you guys to use them play with rules or with no rules doesn't matter.